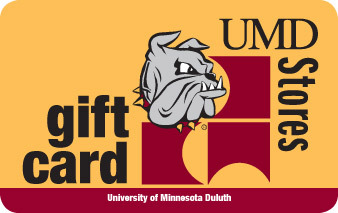 A UMD Stores Gift Card makes a great gift, and can be used for any purchases at UMD Stores, including textbooks, merchandise and more! Please note: For gift card only orders, your shopping cart and order confirmation total will display a UPS shipping fee. Gift cards ship FREE and are sent via US Mail. Please select option for UMD Stores Gift Card.